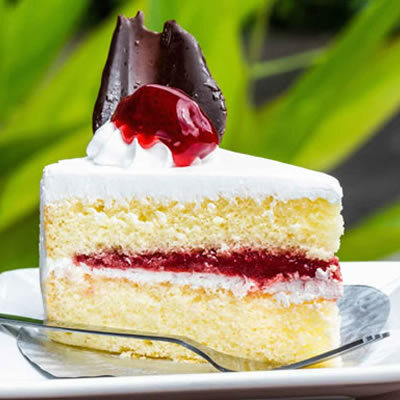 Xanthan gum is used in baking for its thickening and stabilizing properties. Xanthan gum, also called xanthan, is a polysaccharide water-soluble gum used for its thickening and stabilizing properties. It is a viscosity builder, humectant and textural enhancer. It binds to more water to create a moister product. Xanthan is widely used as a food gum. It has high viscosities in comparison with most other polysaccharide solutions. It is used more extensively than any polysaccharide other than starch because of its unique and useful properties. wheat bread with bran), and reducing water activity (pies and cakes). In gluten-free systems, Xanthan gum can increase product viscosity and gas retention properties.2 It also has positive effect on bread crumb color during storage.2 Its usage in gluten-free systems is usually lower than 1%. BeMiller, J. N. “Chapter 10 Xanthan.” Carbohydrate Chemistry for Food Scientists , 2nd ed., AACC International Inc., 2007, pp. 263–270. Naji-Tabasi, S., and M. Mohebbi. “Evaluation of cress seed gum and xanthan gum effect on macrostructure properties of gluten-free bread by image processing.” Journal of Food Measurement and Characterization, vol. 9, no. 1, 2014, pp. 110–119, doi:10.1007/s11694-014-9216-1. US Food and Drug Administration. “21CFR172.695 – Code of Federal Regulations.” Accessdata.fda.gov, 1 Apr. 2017, www.accessdata.fda.gov/scripts/cdrh/cfdocs/cfcfr/CFRSearch.cfm?fr=172.695. Accessed 22 August 2017.